Staff Sergeant Alvin P. Carey (16 August 1916 - 23 August 1944) was a soldier in the U.S. Army who was posthumously awarded the Medal of Honor for actions during World War II in France. Alvin P. Carey was born on 16 August 1916 in Lycippus, PA. He entered the Army at Laughlinstown, PA.
Rank and organization: Staff Sergeant, U.S. Army, 38th Infantry, 2nd Infantry Division. Place and date: Near Plougastel, Brittany, France, 23 August 1944. Citation: For conspicuous gallantry and intrepidity at the risk of his life, above and beyond the call of duty, on 23 August 1944. 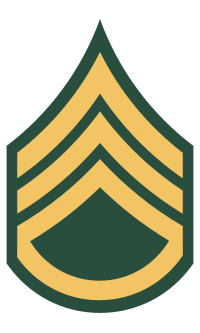 S/Sgt. Carey, leader of a machinegun section, was advancing with his company in the attack on the strongly held enemy hill 154, near Plougastel, Brittany, France. The advance was held up when the attacking units were pinned down by intense enemy machinegun fire from a pillbox 200 yards up the hill. From his position covering the right flank, S/Sgt. Carey displaced his guns to an advanced position and then, upon his own initiative, armed himself with as many hand grenades as he could carry and without regard for his personal safety started alone up the hill toward the pillbox. Crawling forward under its withering fire, he proceeded 150 yards when he met a German rifleman whom he killed with his carbine. Continuing his steady forward movement until he reached grenade-throwing distance, he hurled his grenades at the pillbox opening in the face of intense enemy fire which wounded him mortally. Undaunted, he gathered his strength and continued his grenade attack until one entered and exploded within the pillbox, killing the occupants and putting their guns out of action. Inspired by S/Sgt. Carey's heroic act, the riflemen quickly occupied the position and overpowered the remaining enemy resistance in the vicinity. • Ligonier Valley High School near Pittsburgh, PA, was re-named the Alvin P. Carey School in 1998. • Carey was inducted into the Hall of Valor for Allegheny County, PA, in 2005. 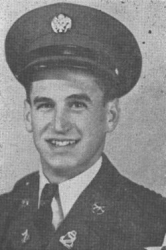 Staff Sergeant Alvin P. Carey was killed in action on 23 August 1944. After the war, his body was brought back to the United States and is interred at Ligonier Valley Cemetery in Ligonier, PA, in Plot: Section K, Lot 24.